Hey girls! Now the sunny mornings are again going to come and days are going too long and the night will be short and saying goodbye to winter season, with the arrival of winter every brand is busy to produce their latest collection due to change in season and are trying to be the first one then other brands. Today I am gonna share with you people Alkaram Studio Pret Digital Sateen Collection 2016-2017, which is just eye- catching with lovely colors and soothing prints that are perfect for this lovely spring. This collection is also best for its dazzling prints. Alkaram is constantly launching their stunning collection for every season, event and occasions to festive their clients. This newly bucket of dresses is beautifully embellished with digital prints and best for this funky season. 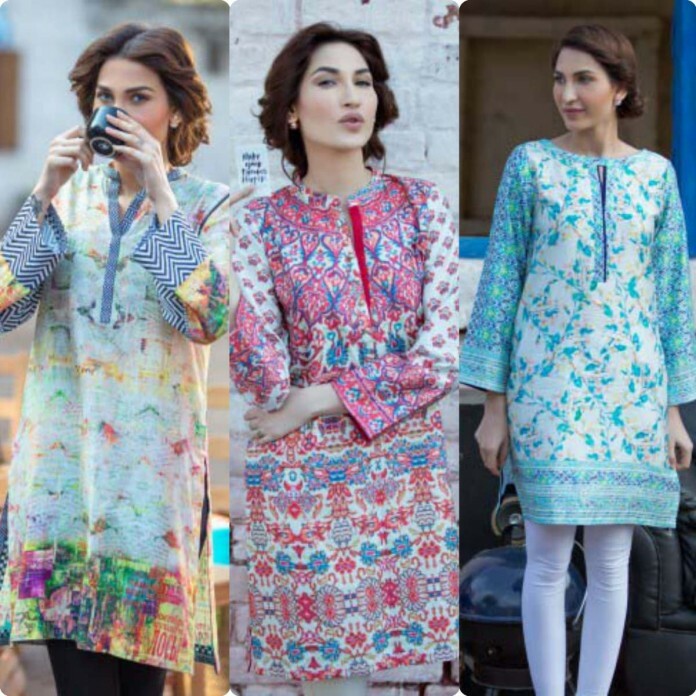 These dresses are made up of digital sateen fabric and borders of these attires are beautifully printed. This assortment consist of digital printed sateen kurti, viscose and boby kurties.These shirts can be paired with cigarette pants, trousers and churidar pajamas. Price of this assortment is PKR RS 2,490./-.Just have a look at these images posted below in this article, I am sure you will get inspired by them and rush towards outlets to grab them. Colors are very appealing like green, blue, sky blue, yellow, black,black, maroon and off-shite and multi-shades with botanical and floral patterns on front and back. Now it’s time to update your wardrobes with this brand new collection of Alkaram kurties. 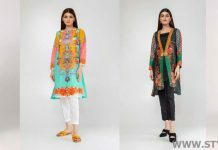 Alkaram studio has launched their latest pret wear collection 2016-2017. This collection is adorned with floral and botanical patterns.